After three straight quarters of losses, the Japanese investment bank unveiled plans to cut $1 billion in costs from its struggling wholesale business. The measures largely target Europe, though no region, including its home market, is spared completely. Ever since it bought Lehman Brothers Holdings Inc.’s Asian and European assets more than a decade ago, Nomura’s on-again, off-again attempts to build up overseas have been familiar to investors. But now the direction seems clear: Without these latest cuts, half of which will come from salaries, the brokerage would have kept bleeding red ink. The latest measures will help bring in $300 million to $400 million in revenue gains, Nomura forecasts. But with such large-scale chopping, especially in traditional areas of strength like fixed-income trading, investors could be forgiven for wondering what kind of investment bank Japan’s biggest brokerage wants to be overseas. The cuts within Japan – including shuttering 30 of its 156 domestic retail branches – make sense in an increasingly online world of stock and bond trading, particularly against the backdrop of a sluggish economy. 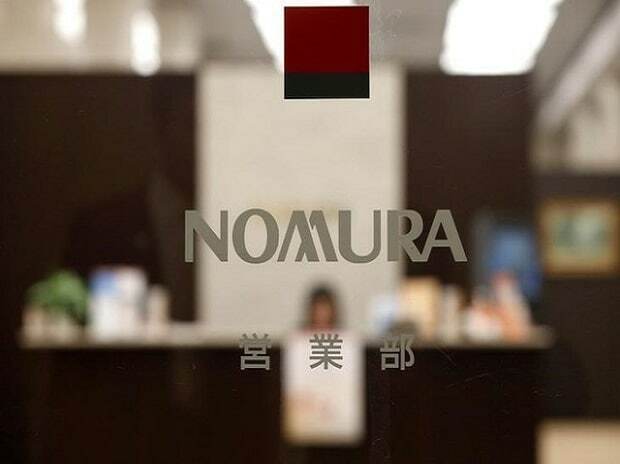 As recently as a few years ago, Nomura was the go-to bank for deal-making. Now competition from the country’s megabanks, buoyed by their sprawling reach, has taken it down several notches. Nomura’s not, for instance, an underwriter on the $3.7 billion Japan Post Insurance share sale announced Thursday, even though it was a lead bank on the insurer's IPO in 2015. A retrenchment in stock trading and research, where it’s struggled to lead overseas, also has good reason. By Thursday afternoon, the company had let go eight out of nine employees in its Singapore research operation and 10 analysts in Hong Kong. In equities capital markets, the business of share underwriting, it has plans to “optimize” in the Americas and Asia. That comes as little surprise, given it’s ranked 62nd in the U.S. and 55th in Asia Pacific, excluding Japan, for this line of business. (In Japan, it remained No. 1 for equities underwriting last year, according to data compiled by Bloomberg). Even Nomura’s plan to scale back its London office, a costly base, is a good one. The firm has about 2,500 staff in the city, matching its headcount in Asia, outside Japan. (1) Some of the cuts could hit risk and compliance staff, which may make the firm vulnerable, according to Michael Makdad, an analyst at Morningstar Inc. in Tokyo. Yet they’re still overdue. This sort of cost-cutting could save Nomura from being unprofitable in the next fiscal year; it’s likely too late for this one. But if the company cuts its fixed-income, currencies and commodities business, what’s exactly left outside Japan?